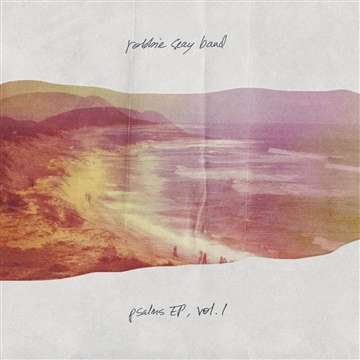 Earlier in 2013 the Robbie Seay Band released their first of three EPs of psalms, named Psalms EP, Vol. 1. The Texan group has been on the Christian music scene for some time, however this new project of writing music from the psalms takes them on a new direction. The first EP contains five beautifully-crafted tracks and I got to sit down and talk at length with Robbie Seay about each of the tracks on Volume 1, what he loves about the psalms, and what the plan is for the forthcoming two EPs. SAM: Where in the world do we find you today, Robbie? ROBBIE: Well I’m in my home city, Houston, Texas. I’m home for a little bit this week before we head back out [on tour]. SAM: What is Houston, Texas home to? Give us an idea of what it’s like. ROBBIE: Yeah well you know all the stereotypes are probably pretty true. There’s a lot of cowboys. It’s a huge city – a lot of people don’t know this but it’s the most diverse city in the US. When you come to Houston, people are surprised from all over the world about how diverse it is. It’s an awesome city to visit. It gets a bad rap because of the weather in the summertime. It’s crazy humid and crazy hot. People will gripe about Houston but if you can make it through the summer it’s a lovely place to be. SAM: Nice. Well it seems like 2013 has been a big year for you. Has it been a good year? ROBBIE: It’s been a great year it really has. I’ll tell you quickly, I led worship at a church here called Ecclesia Church. And that was for almost 13 years. This has been the first year I have just taken off instead of working at the church, and leading worship, and also travelling. So that made for a hectic season. This is the first year that I haven’t done that. I’ve just gone to church, you know what I mean? I know that seems pretty simple, but it’s been pretty amazing for my wife and I – we have a house full of kids and it’s just been a really great year and that’s been a big part of it. SAM: Well earlier this year you released volume one of your Psalms EPs, and there’s a few more on the way. Why did you decide to record EPs of psalms? ROBBIE: First and foremost I really was passionate about singing the psalms. That’s something that I’d never done. I’d talked about that, and then we decided to do them in increments, to do them in a few segments. Maybe put five or six out at a time. And to me, honestly, that just seemed like a digestible amount, do you know what I mean? So instead of throwing 10 or 15 psalms at the one time, we could focus in a little bit and do five or six together, and spread it out. So hopefully once people catch the vision for what we’re doing and why we’re doing this, that they might come back and grab volume two and three. And ultimately, my hope is pretty simple. One, that people will enjoy the music. I’m a songwriter, that’s a pretty basic goal. But then, two, that you and I might learn the psalms together. That as we’re singing these words, that they begin to take root in our hearts. And that Scripture starts to come alive in ways that maybe it hasn’t in the past. So they’re the two goals if you will, for the series. SAM: And it seems like a bit of a change in direction for your band. You’ve done the Christian pop/rock sounds before, but – do you feel any risk in taking this new approach in focussing on these psalms? ROBBIE: Not really. […] For me, it’s awakened a desire to read the psalms. It seems somewhat obvious – but when I first set out to do this I wasn’t sure… I was passionate about singing them, and I was passionate about writing new music for these psalms, but I didn’t realise how passionate I would be about just learning how the psalms came together. How 150 psalms got put together, and who wrote them. What are the stories behind the seasons these men were going through when they wrote them? And so that’s been really cool man. I didn’t forsee that happening, and it’s been cool for me on a personal level. SAM: Volume 1 opens with Psalm 96. Why did you decide to open the EP with this psalm? ROBBIE: When we were singing the final several verses of Psalm 96 – and it’s a powerful expression: ‘Let the heavens be glad, let the earth rejoice, let the trees of the forest sing for joy.’ Honestly when I was thinking about this psalm it reminded me of spring. I don’t know what spring is like for you guys – and we don’t have a really intense winter here, but we have enough winter that when spring shows up, there’s new life. The trees in my backyard start to grow new leaves and my grass starts to get green. This psalm – specifically that group of verses – it felt like spring to me. I don’t know if it’s weird to think of psalms in seasons but that felt right to me. It also felt right to start this whole EP with that. Ultimately you’re gonna find a lot of different things in the psalms. You’re gonna find sorrow, you’re gonna find joy, you’re gonna find doubt, you’re gonna find fear. You’re gonna find men begging God to rescue them. But ultimately, the psalms – at the core of them – is praise. And this psalm is a praise psalm. So it felt right to start this EP with Psalm 96. SAM: What’s it like writing music to psalms that were written as songs, but you don’t have a musical arrangement? ROBBIE: Yeah. I take that seriously. When I’m writing any other type of song, I can kinda make it up. I can sing what I want to sing, and play it how I want to play it. And when you start diving into the psalms, you realise there’s some pretty intense history behind each of these psalms. So I’ll give you an example. A couple of the psalms I’m working on currently for Volume 2, I hope are going to be from the Psalms of Ascent. Or the Psalms of Ascension, depending on what translation. That’s Psalm 120-134. That didn’t mean that much to me growing up, I didn’t really understand how those psalms got put together, what they were used for. Honestly, I didn’t really pay much attention to it. Once you start realising that these are psalms sung aloud by thousands of people as they marched upward towards Jerusalem, and they would do that once a year for the feast for passover. And they would march together. And so, they wanted psalms or songs that they could sing together that would express their heart’s desire. Now – when I start reading that, understanding that, and then I go try and put music to it – that’s a totally different context for me than ‘oh, I go write something and it’ll hopefully be alright’… So when you ask ‘what’s it like?’ I love it, but I tend to think there’s a big responsibility. Even if it’s not some hugely popular song. Even if we record it and a few of you guys listen to it and appreciate it, I still take it seriously. Trying to respect what’s in Scripture and the context and history behind each of the psalms. SAM: The second track – Psalm 62 – is a beautiful psalm written by David under pressure. What can you tell us about this one? ROBBIE: Yeah 62 is a really powerful psalm. One of my favourite psalms. I love how several times in the psalm David goes back to the reminder that we are to wait on God in silence. It was almost ironic to me that I was singing that in the absence of silence – I’m making noise! But it’s a powerful thing to sing. We tried to arrange the song in a way that gave the listener a few moments of pause. So you’ll notice in this song it’s a fairly long track, maybe six minutes. I feel like it’s two segments. It’s the bulk of the passage from: God alone o my soul, rest and wait in him and wait in silence… We’re gonna sing that a bunch. But in the second half there is some pause and some silence. But then it begins to build up to the refrain of this song, which is: God is a refuge. God is a refuge for us. He is a refuge. Honestly for me, this is one of my favourite ones on Volume 1. For that reason, it’s a powerful psalm and we tried to do it justice. SAM: You gave away Vol. 1 for free, why did you decide to do that? ROBBIE: We did that really for one reason. That is to introduce people to this concept of singing the psalms. I’m not the first one to ever do that, obviously. But for my fans, and my audience, it’s something that we had not done yet. We launched a Kickstarter programme. It’s basically just a way for fans and a group of people to help fund the record. I didn’t want to ask people to be a part of Volume 2 and Volume 3 without them having any idea of how it’s going to take shape and what it was going to be like. You’re singing Scripture, what does that mean? The whole song or part of it? Is it something we would actually want to hear? That was the reason. I wanted to say: ‘This is our vision. If you want to support this, we would be honoured to have you as a part of Volume 2 and Volume 3‘. And if not, again this is subjective. Not everybody’s going to love it. Some might go ‘I like it, but I’d love to hear your old stuff.’ That’s totally great, I respect that. But I did want to give people an idea for free – this is what we’re going to do for the next year. This will take us up to next June, we’ll be in the psalms before we release any other music. SAM: What was it like seeing fans of the band back that project? ROBBIE: It’s amazing. We could probably have a longer conversation about where music stands and where the business of music is currently. But the reality is people don’t buy music like they used to buy music. So what tends to happen for artists like myself, is you really have one very valuable connection remaining with a group of people. And that’s a sense of community. And so, most artists are not going to get rich off recording music anymore. So the plus side of that, is that artists now have an intense connection with… they’re more than fans! These are friends! I say friends because these are people who want to invest their time, energy and resource in the music you’re creating. That’s an awesome thing… People could even say ‘Hey I’ve got a dollar, I don’t even have ten bucks to buy the music’. And some would say ‘I’ve got $500’, or anything in between. So to answer your question it was awesome, a complete joy, but also very humbling. When people start investing in what you do in something of this magnitude, it’s a big obligation to them. And you feel like you owe it to them to produce the best album that you can create. And that’s a pretty cool thing. SAM: One of the incentives you got people to pledge towards for your record was a meal with you and the band at your favourite Mexican restaurant – I believe you’re a Mexican fan? ROBBIE: [Laughs] You asked me what Houston was known for, I should have said that. Here in Texas we call it Tex Mex, right? It’s pretty popular here in Houston. So yeah, one of the options was to contribute a certain amount of money, you’ll get all the music of course – and t-shirts and all of that, but if you can make it to Houston, let’s have a big feast together. To me, that’s what’s so cool about this. It’s more than just making a record, you’re saying ‘Hey! Let’s have dinner together!’ Five, ten years ago, that was not on my radar: let’s all go have some fajitas and chips, y’know? It was more like, ‘I gotta make a record.’ We’re a community striving towards the same thing so let’s do some fun stuff together if you’re able. SAM: The third track, Psalm 91 is all about God’s protection. What can you tell us about it? ROBBIE: The psalms are broken up into five books. There’s some intention on where the breaks fall. Psalm 91 is the beginning of book four. So usually the first psalm of each book tends to cast the vision for what’s ahead in that specific grouping of those psalms. We’re singing the final four verses of Psalm 91. What’s unique about this psalm is it ends as God’s response to man’s faithfulness. So when you hear this track, you’re hearing God’s promises to the writer, rather than the writer’s response to God. That’s unique to Psalm 91 and unique to this EP. SAM: The next two EPs on the way, have you already started to select some psalms for those? ROBBIE: Like I said, the psalms of ascent – 120 through 134 I think will be represented. There will be a few psalms of lamentation, of lament that will be a part of it. But what I wanted to be careful with was not just to cherry pick what I think would be good songs. I’m trying to be careful to put these together in a way that is natural, and hopefully comes out of study and time spent in the psalms. So that’s where we are right now. SAM: Psalm 42 features Aimee Norris. I’m intrigued though because there’s no words in this track! ROBBIE: Yeah. It’s one of my… I’m really proud of how this song turned out. Aimee plays with us, she’s a part of the band, and I thought it might be fun to ask her: ‘Hey, is there a psalm that has meant a lot to you? That’s been a part of your journey, that you might like to write new music to and share on this record?’ So I didn’t select that psalm for her. She called me back and said ‘When I was growing up I battled some depression and some anxiety.’ And she said ‘There was a lady who sent me a note and it had much of the psalm in the letter.’ And of course, this is a psalm that is often called the psalm of depression, or the psalm of anxiety. And I didn’t realise that. The beginning of the psalm begins with ‘As the deer pants for the water so my soul longs for you.’ I’ve heard that, I’ve seen that on little plaques or paintings, and it’s really pretty and nice. But what happens is, when you get into the psalm, the psalmist begins to say ‘Why are you so downcast, O my soul?’ He’s depressed! Basically. And he’s confessing these things in this psalm. And it’s a very powerful psalm. And what I think is so beautiful about it is that for Aimee, and for anybody else who has experienced those really dark moments in life, there was a psalmist thousands of years ago who wrote about those specific things. What I love about her track is that it starts in a major key: beautiful and flowing. And then if you notice in the middle of the track, it gets a little chaotic and dark, and minor. It comes back to this beautiful major feeling at the end. To me, that represents the psalm really well. My hope is that when people hear this track, that they will go and lead this psalm. If they’ve ever felt like this psalmist, that they’ll find a sense of peace and comfort there. That the music will take them on the same journey that the psalm takes them on. SAM: What is the release schedule like for the next two volumes? ROBBIE: Both will be in the new year . My hope is February and May… Sometime around then. SAM: The last track is Psalm 63 and it features Lindsey Kidd on vocals. What should we listen out for as we listen to this track? ROBBIE: Psalm 63 is a really powerful psalm to me. It’s a psalm of David. If you read the subheading, depending on the translation you’re reading, it should say something to the effect of: while he was in the desert, or while he was in the wilderness. He was escaping or fleeing from the deadly pursuit of Saul who was trying to take his life. So it’s a pretty desperate moment for him. He most likely is in a cave somewhere. You and I aren’t probably going to be hanging out in caves anytime this week, but we may feel a certain sense of wilderness in our lives. That’s something I think all of us can relate to when we read Psalm 63. There’s a sense of desperation but also, beautiful trust and longing for God that I hope we can also come around to like the psalmist. This track still moves me – and I hope that’s not weird to say about my own music – because of the passage. Lindsey Kidd is a great friend of mine who has sung on my records for years. I think her vocals really captures where the psalmist is. There’s a certain sense of beauty and trust but also vulnerability. And I think that comes across in her vocal. I hope people sense that when they hear this psalm. SAM: Robbie, thanks for talking to us today. It’s been really good to get the inside scoop on these songs that are so wonderfully written from scripture. So thanks for your time and hopefully we can talk when the next two come out and get the story behind those. ROBBIE: Sam, I’d be honoured, thanks for highlighting the new EP. Bless you. Psalms EP, Vol. 1 by Robbie Seay Band is available now on iTunes. Posted in MusicTagged Bible, christian, David, Extended play, God, Houston, Interview, Music, Psalm, review, Robbie Seay, Robbie Seay Band, Tex Mex, TexasBookmark the permalink.